Bernat Buscà Safont-Tria, Xavier de Blas Foix and Gabriel Daza Sobrino. Original instruction by Dr. Alberto García-Fojeda. instead of this rods platform. Time spending for the manufacturing of the platform (among 3 people): 2h-2h30′ (according to the experience). 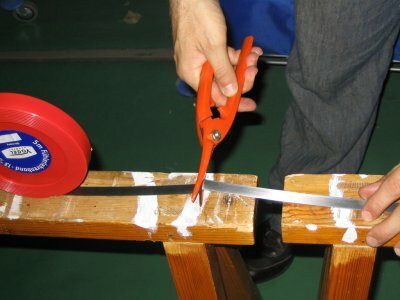 Using the scissors (the fleje comes in roll of 5m) these pieces are called rod. Make a hole of 3mm 1,5cm from the extreme part of each rod. 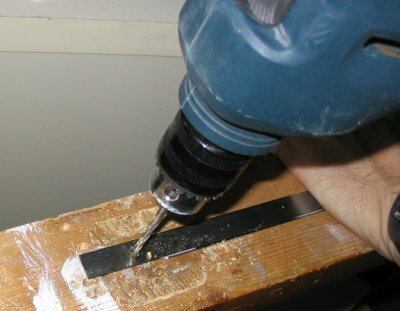 The iron strap is too hard and it will be difficult to penetrated using only the drill. We recommend to make the hole by using a hammer with the help of a tempered steel end and right after use the drill and a reel of 3,2mm. 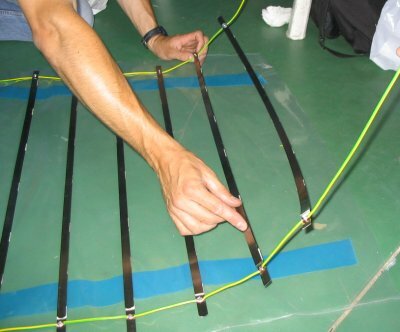 Place the 3M double slide tape on one side of rod along every 7cm. 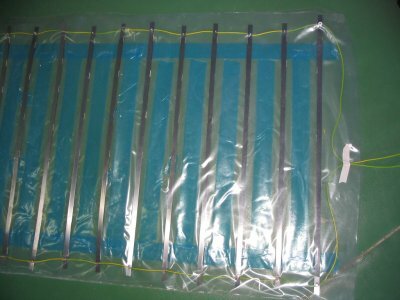 excel 3cm (it is important that the extreme parts of the rods are placed over a piece of the double slide tape). To the totality of the group of the rods glued to the tape this we will call group of rods “ group of rods ”. 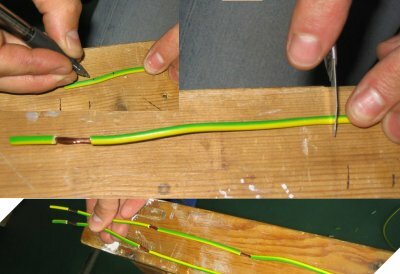 Cut a piece of double cable of 1,30m, separate them converting in 2 simple cables of 1,30m. 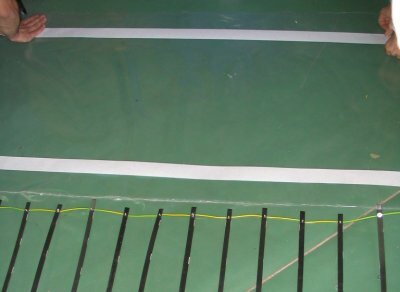 Mark the cable with marks of 1cm each using the marker. 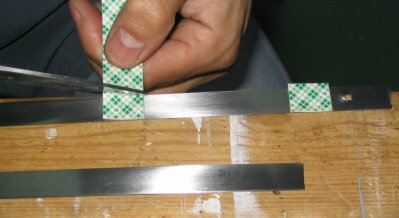 At the beginning is important to leave a 2 cm space without peeling to be counted since the 2 cm. 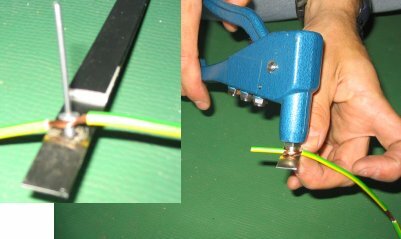 Peel each simple cable approximately 1cm every 7cm. 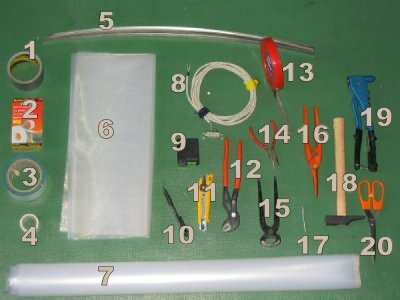 At the end you will have a peeled cable every 7 cm. It will be called “ peeled cable of 7cm”. Update: we recommend that this 7 cm distance is lower for not having problems on jump detection. This recommendation applies from here to the end of the text. (the upper rods with the hole at one side and the lower rods with the hole to the opposite side). Cut two pieces of plastic 1m by 1m. Place two pieces of double face slide tape of 5 cm on both sides of the plastic, upper and lower. 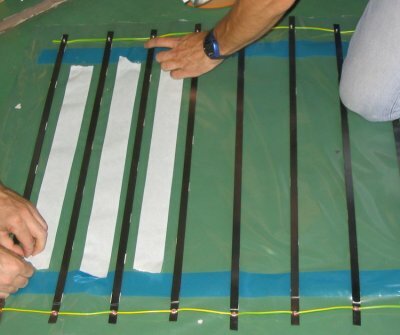 Place the structure over the plastic so that the set of rods are glued on a parallel. Place two pieces of double face slide tape in the free space between the set of rods to fix the structure. Glue the other piece of plastic to protect the other side. 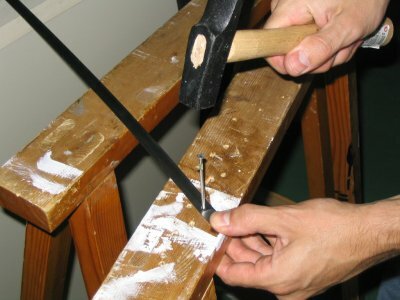 Reinforce the boards using the American slide folded. Finally recover the blanket with the canvas to make it more resistant to possible blows . See this video (catalan) that tells how to build contact platform and other dispositives: Construcció de dispositius de mesura per a Chronojump. Discuss this information at the forum: Steel rods contact platform (Chronojump forum).